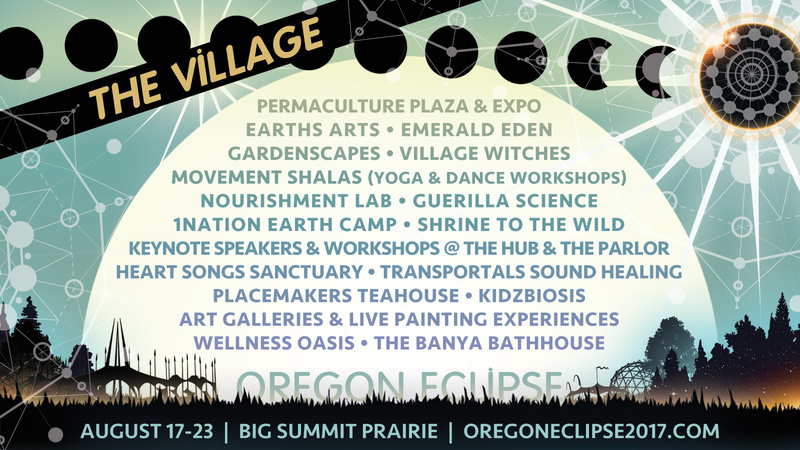 Past the 7 stages, beyond the over 360 musical artists, woven between the installations and environments is the backbone of Oregon Eclipse : The Village. Living Edible Art! Renegade Scientists! We’ve scoured the globe for the best in movement, earth and visual arts. We honour the 1Nation Earth Camp, the Houses of the Holy, and the Placemakers Teahouse. From the Hub to the Parlor, and right around to Kidzbiosis, we create space for new ideas and worldviews to sprout. Join us in what is to be a truly global village to connect with community, ignite curiosity, and re-imagine the possibilities ahead of us as a community.